New York, New York – Boys & Girls Harbor is proud to celebrate 74 years of educating children to be their best at their annual SALUTE TO ACHIEVEMENT on June 10, 2011, 6:00 p.m. The evening will begin with a reception at 6:00 pm at El Café in the historic Heckscher Building for Children followed by a performance at 7:00 pm in the Teatro Heckscher. The Heckscher Building is located on Fifth Avenue between 104th Street and 105th Street. Conceived and developed by Harbor Conservatory faculty members, “Journey of a Dream” highlights the journey of a Harbor student to discover, develop, and aspire to excellence in pursuit of her/his dream for the future. This performance piece will showcase music, dance and theater students of the Harbor Conservatory for the Performing Arts. The Silk Road Ensemble with Yo-Yo Ma will perform selections from their vast repertoire, which will also include a shared piece with Harbor musicians and dancers. Tickets for the performance are $1,000. A variety of giving levels are available, including Presenting Sponsor: $250,000; Golden Benefactor: $1,000,000; Partner: $50,000; Patron: $25,000; Supporter: $15,000; Associate: $10,000; Friend: $5,000. Enhancing our Early Childhood Education efforts by creating a vibrant and vigorous learning environment, with new materials and equipment for our preschool classrooms and professional development for our teachers. 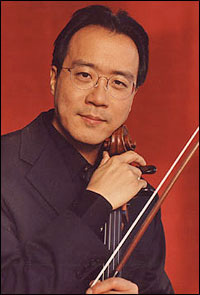 Cellist Yo-Yo Ma has received numerous awards, including the Avery Fisher Prize, the Glenn Gould Prize, the National Medal of the Arts, and the Presidential Medal of Freedom. Mr. Ma serves as a UN Messenger of Peace and as a member of the President’s Committee on the Arts and Humanities. He has performed for eight American presidents, most recently at the invitation of President Obama on the occasion of the 56th Inaugural Ceremony. In 1998, Mr. Ma established the Silk Road Project. It takes its inspiration from the historic Silk Road trading route as a modern metaphor for multicultural and multidisciplinary exchange. A not-for-profit organization, its vision is to connect the world’s neighborhoods by bringing together artists and audiences around the globe. The Silk Road Ensemble is a collective of internationally renowned performers and composers from more than 20 countries. Ensemble artists have collaborated on a diverse range of musical and multimedia projects, presenting innovative performances that spring from Eastern and Western traditions and contemporary musical crossroads. 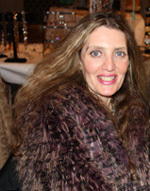 Press contact: Heidi Koelz, Communications Manager, heidi@silkroadproject.org, 617.496.6314. The Harbor Conservatory for the Performing Arts, established in 1970 by Boys & Girls Harbor, exemplifies the Harbor’s deep belief in the power of the arts to transform lives and give expression to our shared humanity. The Conservatory’s music, dance and theater programs have served hundreds of children and teens, enriching their lives while preparing talented youth for advanced specialized study and professional careers. Our students and alumni perform on concert stages, on Broadway, in movies and television, and often return to join our faculty. Since Anthony Duke founded the Harbor 74 years ago, much has changed, but not our dedication to educating children to be their best. Now under the direction of Executive Director Dr. Thomas Howard, Boys & Girls Harbor is an academically focused and arts-rich learning environment that develops students’ ability to think, to inquire and to be creative. Boys & Girls Harbor—an organization with a long commitment to academic excellence and personal success—is poised to become a leading educational institution, providing students with a 21st century education that will allow them to achieve their post-secondary goals.